Introducing InterviewBot, an action designed to prepare young professionals for their upcoming job interviews. Ranging from general to company-specific questions, InterviewBot will ensure that users are prepped and ready for the first important step of their careers. When we started this project, we knew we wanted to tailor our action towards improving the lives of college students. Being that the majority of us are seniors about to graduate, we figured the most optimal action we could create would be one that assists students in preparing for upcoming job interviews. 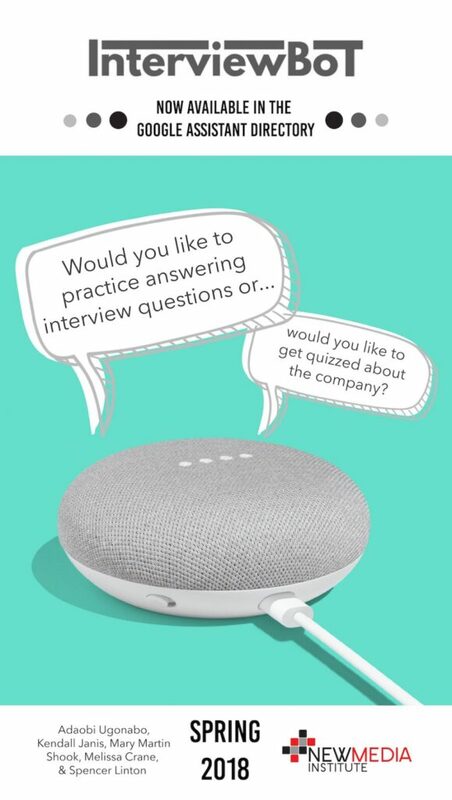 Now, you can practice for that big interview without even having to leave the comfort of your own home!